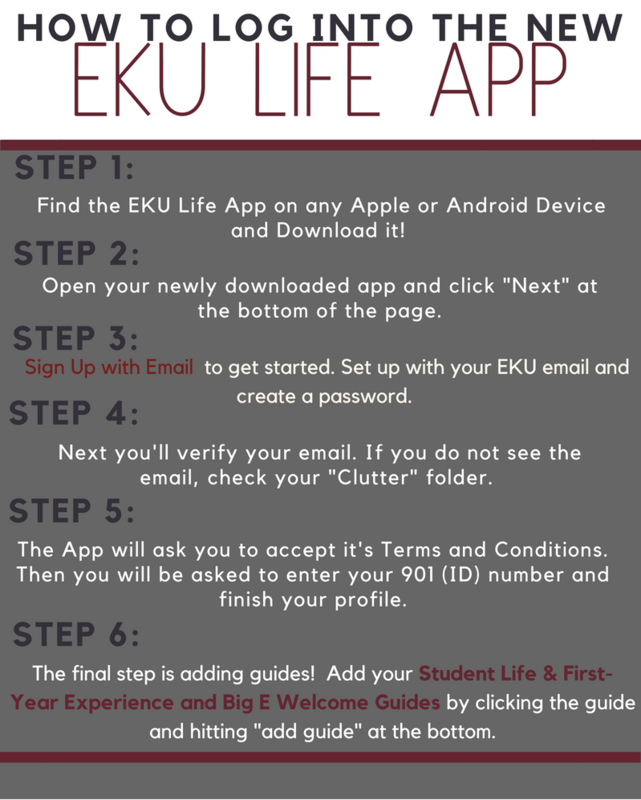 We want to invite you to join the EKU Life app! 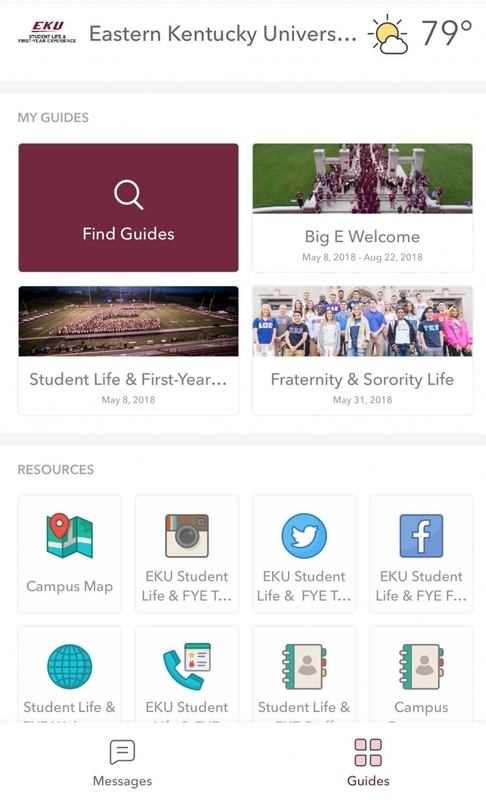 This guide is the main way to stay up-to-date on campus activities, volunteer opportunities, and all things Student Life & FYE. 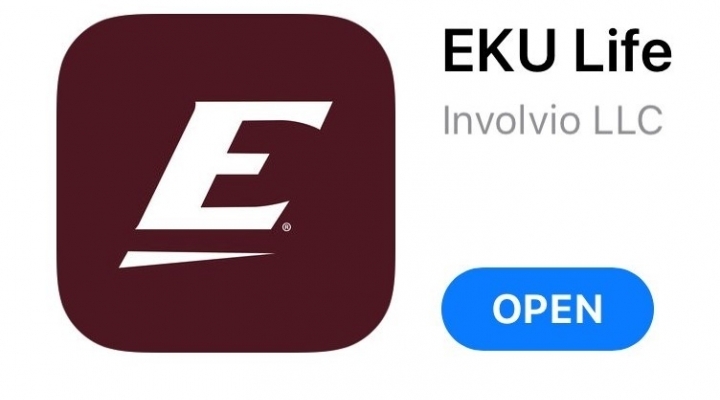 Be sure to take advantage of the customizable schedule features, maps, "to-do" list, photo upload, and communication tools.